Dr. Sippel is certified by the American Board of Surgery. She is an active member of the American Association of Endocrine Surgeons and serves as the Endocrine Surgery Fellowship Director. She specializes in endocrine surgery and surgical treatment of the thyroid, parathyroid, and adrenal glands. Dr. Sippel is an expert in parathyroid surgery and offers the latest in minimally invasive approaches for the treatment of hyperparathyroidism (minimally invasive parathyroidectomy, minimally invasive radioguided parathyroidectomy). Dr. Sippel is also dedicated to the treatment of both benign and malignant diseases of the thyroid such as thyroid cancer, Graves disease, hyperthyroidism, thyroid nodules and goiter and works closely with our endocrinologists in our multidisciplinary thyroid clinic to offer patients surgical treatment options for their thyroid conditions. She has a special interest in the treatment of primary and recurrent thyroid cancer and also has expertise in the minimally invasive treatment of adrenal disease (laparoscopic adrenalectomy) treating both functional (pheochromocytoma, aldosteronoma, Cushing’s syndrome) and non-functional lesions of the adrenal gland (adrenal adenoma, adrenal carcinoma). Dr. Sippel conducts translational research at the University of Wisconsin Comprehensive Cancer Center. Her research program investigates the development and treatment of endocrine tumors, with a special interest in thyroid cancer. 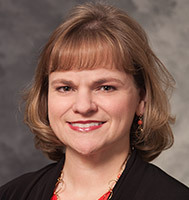 She also conducts clinical research working on improving the care and outcomes of patients with endocrine tumors.